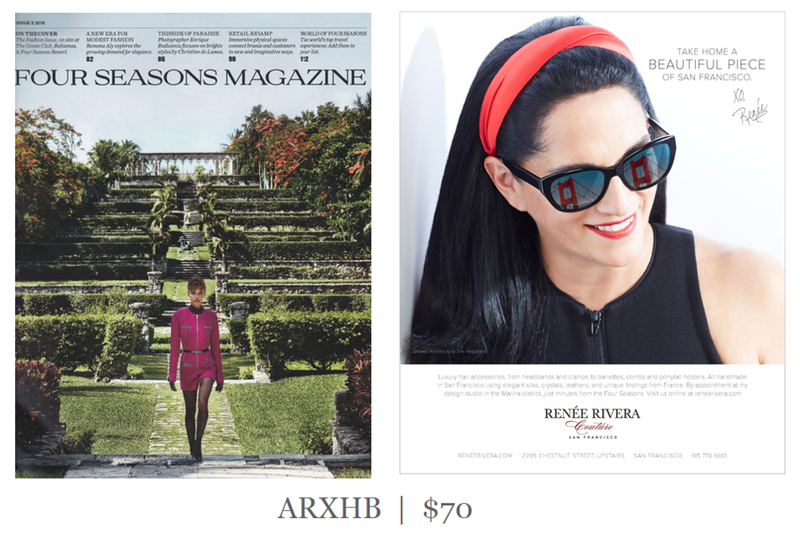 Our beautiful crinoline lined silk headband is featured in our Four Seasons Magazine ad. The flexible French headband base which ensures ultimate comfort is 1” wide and the overall size is 1 3/4” at its widest point. The silk is lined with crinoline to keep it’s shape and looks beautiful in the hair.